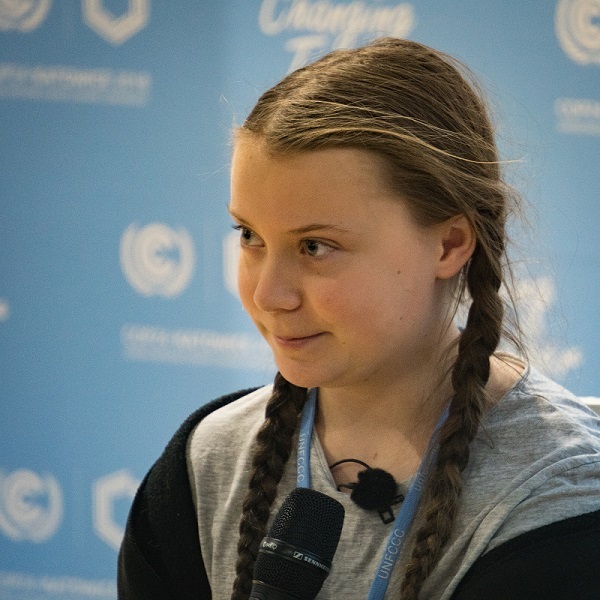 Washington, D.C. (April 5, 2019) — The work of the Adaptation Fund in serving vulnerable countries with tangible climate change adaptation actions on the ground caught the eye of the dedicated and inspirational 16-year old climate activist leader Greta Thunberg, who won the Freedom Prize this week and promptly announced she will donate the full 25,000 EUR prize money to the Adaptation Fund and three other organizations. Ms. Thunberg, of Sweden, was awarded the first Freedom Prize (Prix Liberté) from the Normandy Region of France, which honors someone fighting for peace and freedom, for her actions to inspire urgently needed climate action across the globe. She was also recently nominated for the Nobel Peace Prize for 2019. Ms. Thunberg was nominated by an international jury for the Freedom Prize along with two other finalists who are also ardent defenders of human rights (Saudi blogger Raif Badawi and Chinese photojournalist Lu Guang). She was selected the winner through a digital vote by young people ages 15-25 from all over the world. The award was created by the Normandy Region of France in partnership with the International Institute for Human Rights and Peace, and academic authorities Canopé and Ouest-France. An award ceremony will take place in Caen in early June to honor the 75th anniversary of the Normandy landings as part of the Forum for Peace. To date, the Adaptation Fund has committed US$ 564 million to 84 concrete projects to help the most vulnerable communities in developing countries throughout the world adapt and build resilience to climate change, with close to six million direct beneficiaries. The Fund also pioneered Direct Access, a climate finance modality which empowers country ownership in adaptation. Thunberg misses school every Friday for a climate strike to raise awareness of the emergent climate crisis, and has inspired a global movement of youth, parents and leaders alike who are concerned about climate change. It has extended to marches and demonstrations in 120 countries, and further brought thousands of people together on social media through the hashtag #FridaysForFuture. She regularly protests in the Stockholm Parliament and is an eloquent and inspirational speaker who has spoken at COP 24 in Poland and at the Davos Economic Forum, among other high-profile engagements. The Adaptation Fund fosters several core principles in its projects through progressive environmental, social and gender policies that protect human rights, gender equality, biodiversity conservation and natural habitats, and marginalized groups, including children, women and girls. Its projects are country-led and tailored to local adaptation needs, with involvement of the most vulnerable groups and local stakeholders often key to project success. All Fund projects have knowledge sharing components, as well, where the next generations of youth are often directly involved in learning and raising awareness for the importance of climate adaptation. “The Adaptation Fund fosters involvement of marginalized groups, including children, women and girls, in its projects as one of the core principles of its environmental and social policy, and has several projects that have strong involvement of youth,” Bilgischer said. The Fund further launched new grant funding windows in December, including a program that fosters innovation in adaptation, and is planning to launch a new innovation facility later this year. One of the first innovation grant proposals received is aimed at engaging future leaders in Armenia through a digital education module on adaptation challenges and best practices for youth. Among today’s citizens, young people are also going to be disproportionately affected by climate change which is projected to worsen in the coming decades. At the same time, young people can often be sources of innovative ideas so it is important to engage them in the challenges of adaptation to climate change from an early age. “One of the great aspects of the Adaptation Fund is its ability to innovate and create valuable knowledge through its tangible climate change adaptation work on the ground to the most vulnerable communities. Youth, as well as other vulnerable groups, are essential to participating, learning and carrying that awareness and knowledge forward,” said Mikko Ollikainen, Manager of the Adaptation Fund. A Fund project helped vulnerable urban residents in Tegucigalpa and the upper Choluteca watershed adapt to extreme rainfall variability and mudslides by installing innovative rooftop rainwater harvesting systems on 38 homes that directed run-off during extreme rainfall to storage tanks to serve an elementary school. The project climate-proofed roads and infrastructure to enhance drainage, and protected 60,000 HA of forest corridor to retain water and prevent erosion. It also involved the next generation of practitioners –the Honduran National University was very active in involving young, soon to be graduated professionals from different faculties mostly in the design phase of adaptation solutions. Rwanda: The Fund is empowering communities vulnerable to extreme rainfall and drought through adaptation measures such as bench-terracing, afforestation and canal clearing that have restored farmlands once lost to floods. As part of the project, more than 100 young people attended technical training schools designed to start businesses in off-farm trades to reduce pressure on the natural environment. They graduated, obtained certifications and startup toolkits, as well as links to sources of credit and financial support to help ensure they are successful. Cook Islands: A Fund project in the Cook Islands is helping coastal communities vulnerable to destructive storms and droughts build climate resilience through community-based approaches. It has a Young Farmers Programme, in which local youth leaders are being trained in organic farming practices and traditional sustainable farming methods to enhance local food security and commerce in the face of climate change. Another component designed by local school students is encouraging youth and communities to replant 10,000 native trees, which will help protect the coastline from tidal surges and disasters, as well as nesting sites for endangered turtles. The climate-threatened island of Palmerston also received life jackets for all its inhabitants for added protections during sea surges. “The Government of Jamaica/Adaptation Fund Programme is a good programme. I encourage it. I love it, because this is something we as farmers needed for years now! It helped us a lot as young farmers,” added Mr. Alton Hall, a young farmer in Jamaica, where a similar adaptation project is taking place. Morocco: An innovative project in the dry Oasis region is helping vulnerable communities adapt to droughts by rejuvenating traditional underground canal systems as key water sources for agriculture and consumption. The project also has 20 innovative adaptation economic projects that are focused on youth and women, with at least 50 percent managed by women. Uruguay: A Fund project is helping smallholder farmers in areas vulnerable to extreme weather variability build resilience to climate change through sustainable development, climate-smart farming and agro-forestry. As part of the project, a small group of university students in two critical areas received small grants to establish a weather monitoring station and conduct research into the impacts of climate change on natural grazing pastures and small cattle producers. It is part of the project’s small grants programme offered to local producers to improve water and land management and production, and includes training, technical assistance and opportunities for women and young entrepreneurs. 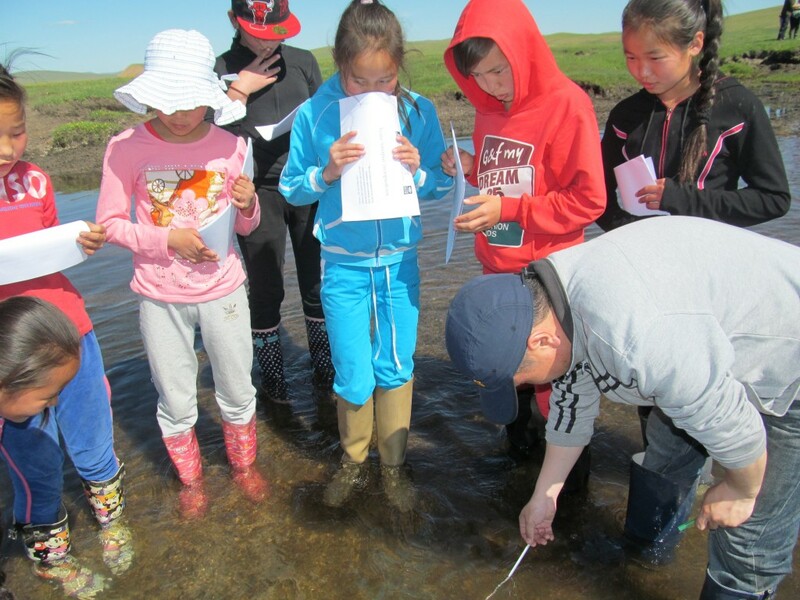 Mongolia: In vulnerable areas that have faced dry conditions exacerbated by climate change, the project has supported the transition to eco-schools all the way down to the kindergarten level. It includes introduction and promotion of indoor plants and outdoor tree planting, water monitoring and environmental education – with the aim that an early start will lead to high environmental awareness in adulthood. Cuba: Many youth have taken an active part in helping to deploy adaptation measures such as mangrove restoration to help vulnerable coastal communities build resilience to sea level rise and saltwater surges. Since 2010, the Adaptation Fund has committed about US$ 564 million for climate change adaptation and resilience projects and programmes, including 84 concrete localized adaptation projects in the most vulnerable communities of developing countries around the world with approximately 6 million direct beneficiaries. It also pioneered Direct Access, empowering countries to access funding and develop projects directly through accredited national implementing entities. The Fund receives a small share of proceeds from UN Clean Development Mechanism projects but the majority of funds for the Adaptation Fund come from contributions from developed countries and regions. The Fund also receives voluntary contributions from individuals, public and private organizations, which can be made to the Fund through the United Nations Foundation website.